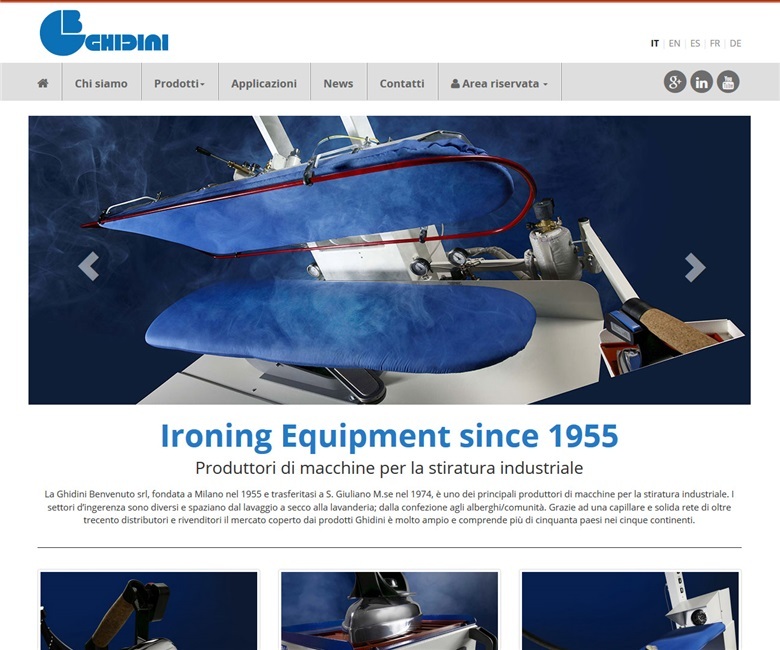 The Ghidini Benvenuto srl company, founded in Milan in 1955 and moved to S. Giuliano M.se in 1974, is one of the leading manufacturers in industrial ironing machines. The main application fields range from dry-cleaning to laundry shops, from the clothing industry to hotels and nursing homes. Thanks to a widespread and solid sales network with more than 300 distributors and resellers, Ghidini products are widely represented on the worldwide market, comprising more than 50 countries throughout the five continents.